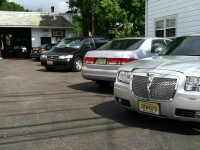 Honda repair and other foreign cars are no problem at Lincoln Ave Auto Repair Fair Lawn. We are a full-service European auto repair shop that services other cars as well. Honda, Chevy, Ford and many more. Lincoln Ave Auto Repair for Paramus offers everything in the way of service from inspections and oil services to brake jobs, tune-ups, engine and transmission work. Our staff has over 40 years of experience working on European cars and we would love to help you fix or restore your car. Please give us a call or stop by for an appointment. Lincoln Ave Auto Repair Hawthorne specializes in European vehicles. For all services performed, Lincoln Ave Auto Repair for Mahawa uses only original equipment and parts, recommended by the factory for each specific vehicle.